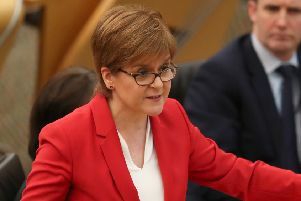 Ms Sturgeon called on the EU and UK Government to confirm citizens’ rights even if talks in the next ten days fail to progress sufficiently to move on to trade negotiations. European Council president Donald Tusk has given Mrs May until Monday to come forward with an improved offer on the terms of the UK’s withdrawal, including the ‘’divorce bill’’ and future citizens’ rights, as well as the Irish border, if there is to be progress at the December summit. In her article Ms Sturgeon wrote: “The prime minister needs to come away from the EU summit with a clear agreement to move into trade talks and a clear statement that transition will mean remaining in the single market and the customs union - nothing less.